Public-sector facilities enhance the communities they serve and provide access to the valuable services provided by government entities. TowerPinkster combines innovation with forward-thinking technology to create spaces that foster leadership, trust, and transparency. 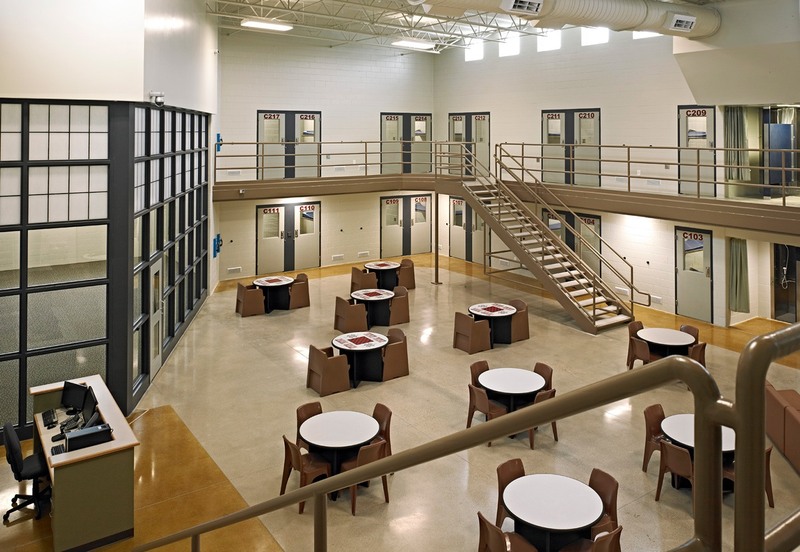 From justice centers to aviation, public safety to detention and infrastructure upgrades, TowerPinkster design solutions engage the people of today and tomorrow. The State of Michigan and the Michigan Veterans Affairs Agency is working with TowerPinkster and senior living design consultant, SFCS, to design two new State Veterans Homes developments in Grand Rapids and the Detroit area based on USDVA Community Living Center (CLC) guidelines. Both locations will provide a safe and welcoming environment for veterans in a neighborhood-like setting. Residents will receive the care and services they need while affording them the community and privacy they deserve. The TowerPinkster and HOK design included the renovation of the most recent 1970’s addition to create three, 64-bed dormitories, and the addition of a new direct supervision replacement facility. 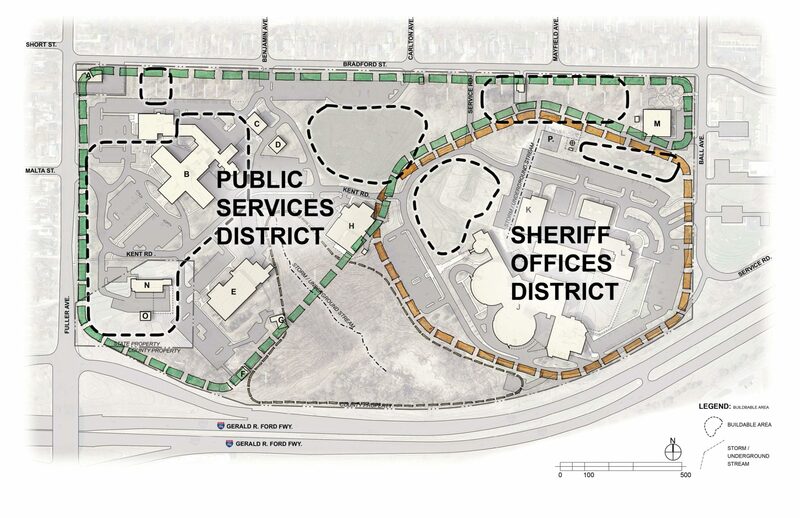 This created 320-beds and features a 96-bed classification unit located between the existing jail and the Sheriff’s administration building. Careful site planning improved accessibility to the existing support service areas, such as the kitchen, laundry, and health clinic. The east side of the main terminal at the Gerald R. Ford International Airport received a 57,000 SF expansion. The marketplace level has a seven-lane consolidated checkpoint followed by prominently-located retail spaces, a full-service restaurant, and additional seating areas. Offices are housed on the second floor with views overlooking the marketplace and sight lines through to the airfield. TowerPinkster teamed with Architectural Alliance to redesign Concourses A and B to meet the needs of GFIA. Concourse A features a new, second floor with food service and two additional gates. The main floor features an open concession and retail area. Concourse B received a 2-story addition with the lower-level containing operational and administrative areas for the airport. The second level also features two additional gates. TowerPinkster teamed with HOK on the design of this new facility which features a mix of direct and indirect supervision pods with a capacity of 250-beds. The intake, transfer, and release component includes holding and detox cells, together with book-in stations, medical screening areas, interview rooms, and vehicle sallyport capable of supporting the future 400-bed capacity. The new jail also increases efficiencies by providing video visitation for inmates and visitors. A geothermal system was incorporated into the design and is projected to reduce energy consumption by about 30%. 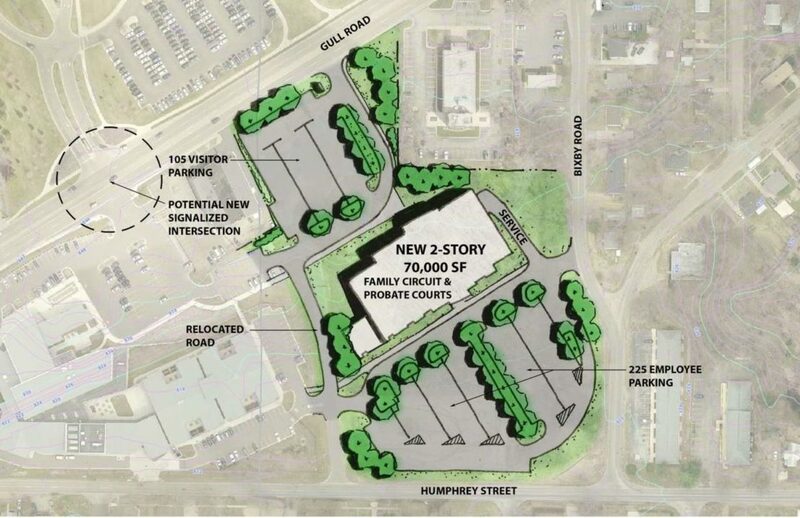 As part of their 25-year master plan, Kalamazoo County acquired a vacant parcel of land adjacent to the existing Juvenile Home with an overall vision to relocate family-related judicial services and create a campus that improves operations through efficiencies in space, design, and function. TowerPinkster worked closely with the County and programming/design partner, HOK, to incorporate Family and Probate Courts, Friends of the Court and Prosecutor’s offices. A study revealed that combining the existing East Lansing and City of Lansing 9-1-1 Dispatch Centers into a single consolidated facility would improve efficiency and streamline operations. With a site already selected, preliminary space planning efforts had projected the new building at 16,000 square feet, but after completing a detailed needs assessment and space programming exercises, TowerPinkster determined a new building footprint of 11,400 square feet would sufficiently house all necessary operations. TowerPinkster’s task was to improve space utilization, accessibility and security and to accommodate jail expansion. The resulting addition physically links the jail to the county building. All operations of the District Court moved to the new facility, and the vacated space was renovated to address future growth of remaining agencies and departments. Finally, a 40-bed addition to the jail along with Intake areas served the Sheriff Department’s needs. To continue to understand and enhance the public access to services, Kent County desired to update the Fuller Complex Master Plan to guide future projects. Their intent was to update their 2004 Master Plan to guide and frame the potential physical enhancements to the complex including future facilities, complex gateways, public access, parking capacity, site amenities, and other elements that may be identified during the planning process. TowerPinkster’s master plan resulted in the design of a new Community Mental Health facility that would consolidate all of the associated departments into one building. The facility features one central reception area that serves all departments and allows for a separation of public and administrative spaces. The new facility is more efficient, reducing total square footage by 10,000 SF. 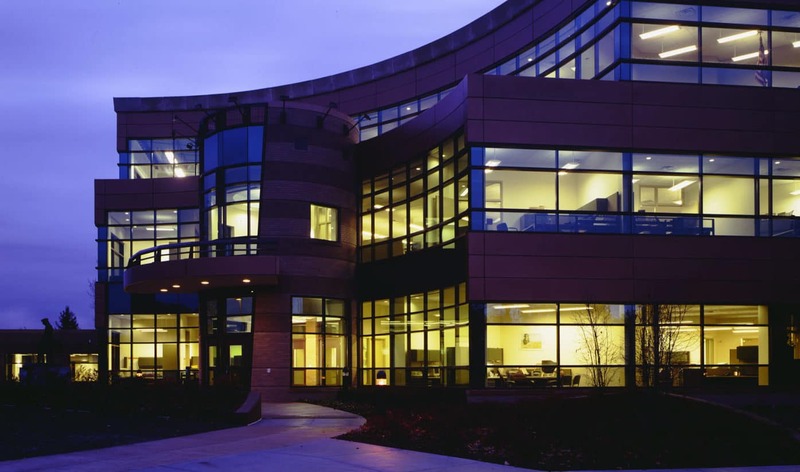 TowerPinkster’s design included a 38,000 SF addition and the complete remodeling of the existing administration offices. The facility houses administration, records management, investigative (detectives, narcotics and vice) road patrol, scientific support, community services, emergency management, evidence storage, accounting, and training. Its state-of-the-art training center features a unique 360-degree live fire “shot house” where law enforcement officers can prepare for real-life scenarios. 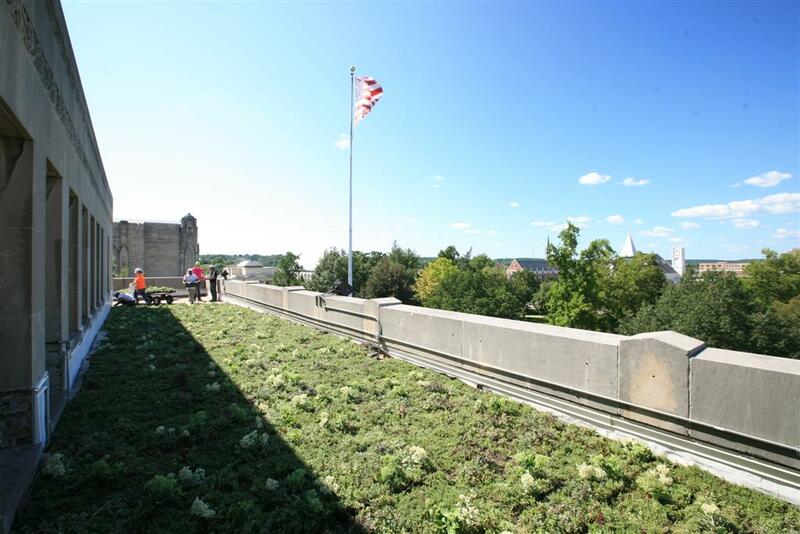 The newly installed roofing system at the City Hall in Kalamazoo is based on LiveRoof green roof modules which contain pre-vegetation sedums and other engineered soils that lay directly onto a root barrier. The roof is entirely vegetative and has not only alleviated the facility’s leaking problem but is more environmentally friendly and provides a pleasant view for fourth-floor offices. With goals to enhance citizen access for programs and services, increase safety and security and reduce maintenance costs, Kalamazoo County’s Facilities Master Plan identified opportunities to relocate several departments into County-owned facilities. With a program based on efficiency, the Healy Street Center features a video visitation component, and the combination of the Office of Community Corrections, as well as the State Probation and Parole Departments into a single location. 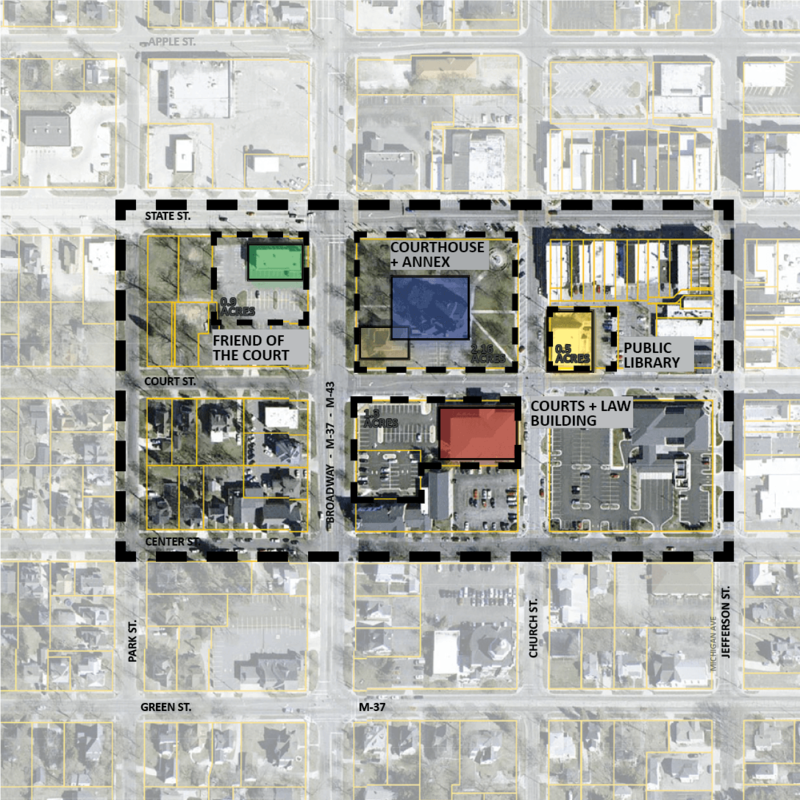 TowerPinkster, in partnership with HOK, completed site selection evaluations, space program analysis and the design of a 13-story building to house Kent County and City of Grand Rapids Courts. 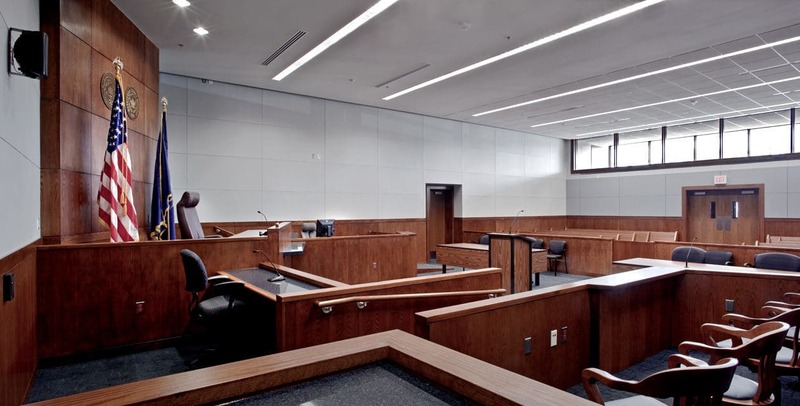 Twenty new courtrooms were added, as well as six hearing rooms, judicial chambers, secure detention areas, administrative floors, restricted below-grade parking, and space for expansion. 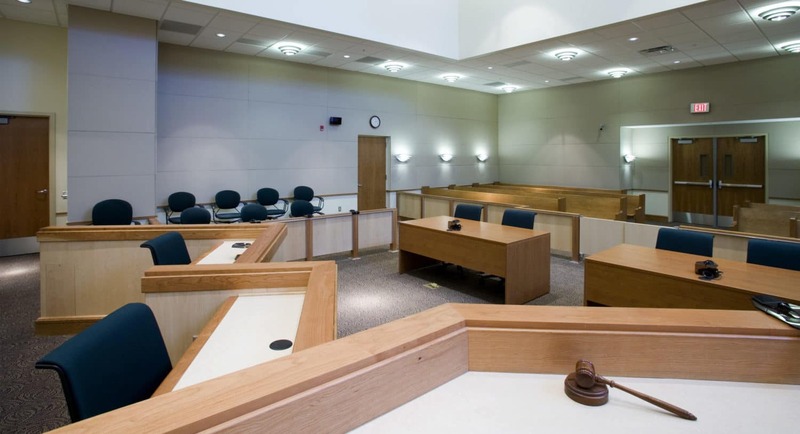 Additional considerations included state-of-the-art active and passive security design and courtroom technology. Kalamazoo County decided to proactively plan for the future of its facilities and operations. As a major component of this effort, a long-range master plan was developed for various county facilities that embody the ideas of improved service to its citizens while reducing operating costs and offering guidance for capital expenditure planning. Barry County aimed to make services safer and more accessible to residents, users, and County workers in their existing facilities. The County was in need of a Facilities Master Plan that reflected these initiatives while maximizing the use of existing buildings and respecting the historic nature of the existing facilities. TowerPinkster conducted in-depth facility assessments and met with various stakeholders and community leaders to gain an understanding of opportunities and challenges of the existing facilities. 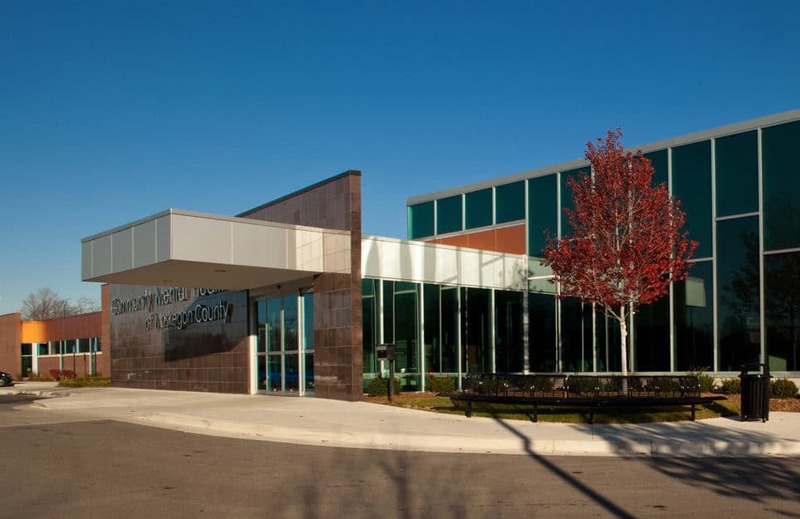 To create space for the expanding administration, law enforcement, and fire departments, Emmett Charter Township turned to TowerPinkster to develop design concepts for a new Public Safety headquarters and satellite facility.